Here are three winning website selections from last year’s Webbys that should go down as Webby Award fails. In a previous blog, we explained why you should be paying attention to this year’s upcoming 20th Webby Awards. The Webbys are extremely important for website design and creation. But even though the Webbys are an authority figure in all things Internet-related, they’ve also been known to get it wrong sometimes. 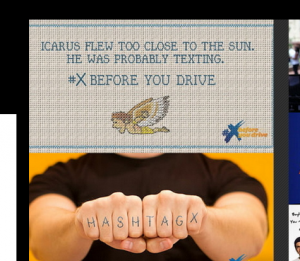 It’s good that AT&T is addressing texting and driving. The Webby community did as well, selecting them for a People’s Choice award in the “Best Corporate Responsibility Website” category. But as great of a cause as it may be, their campaign just isn’t. 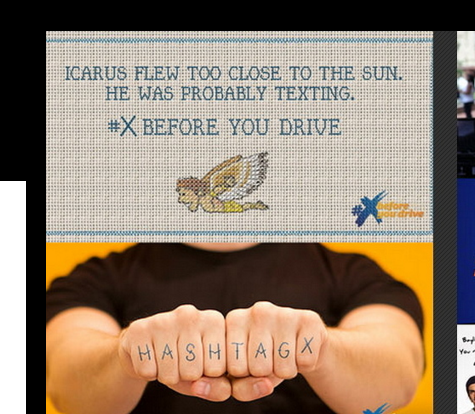 For one thing, I’d like to know what, “#x before you drive” even means. And for another thing, this Greek mythology originally warning against hubris has nothing to do with distractions while driving. It’s a lame attempt at humor that most teens probably won’t understand anyway. 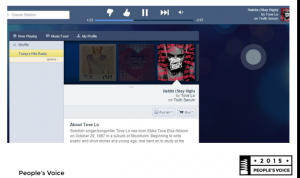 Pandora won in the 2015 “Best Music Website” category, chosen by the public, for reasons we can’t explain. This site is frustrating on many levels and has serious usability issues. In a world with Spotify, where people can choose exactly what song to listen to, it’s surprising that Pandora is still used. There’s not much more to say here, because we already said it in a previous post on music streaming platforms. 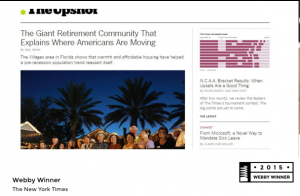 “The Upshot” won the 2015 award for “Best Cultural Blog”. Don’t misunderstand — “The Upshot” is fantastic. 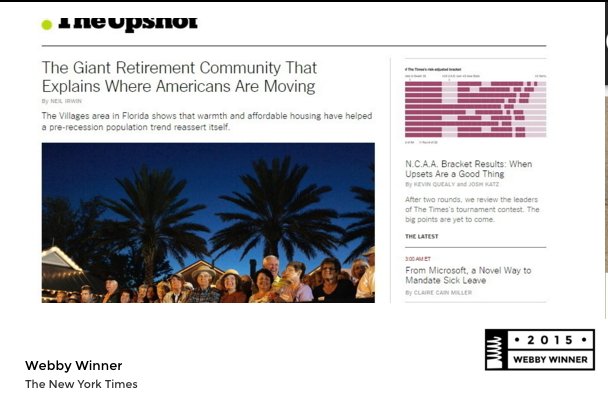 But how in the world wide web are we going call “The Upshot” a blog? It’s part of the New York Times! That’s like saying the New York Knicks is the best community basketball team. Next time, the Webbys should pick a real blog. While these three picks weren’t the best, the Webbys usually gets it right… or perhaps 2016 will offer us some Webby Award fails that can top last year’s. « 3 Creative Error 404 Pages	» What is SEO and How does it Work?